Whether it is our home, workplace or stores, we spend most of our time in the closed indoor environment. The alarming truth is; the indoor air is ten times more polluted compared to the outdoor air. Basically, the indoor areas are closed environment where the air is contaminated with diverse types of invisible pollutants. Thus, a HEPA air purifier is highly recommended to purify the indoor air. Since the indoor air contains thousands of tiny airborne particles such as mite, mold, pollen, pet hair, dander odor, dust, dirt and so on, these components can affect our respiratory system. Eventually, these pollutants can result in severe health issues such as allergy, asthma and even lungs cancer. Thus, to have a breathable air, the HEPA purifier is installed in many places. 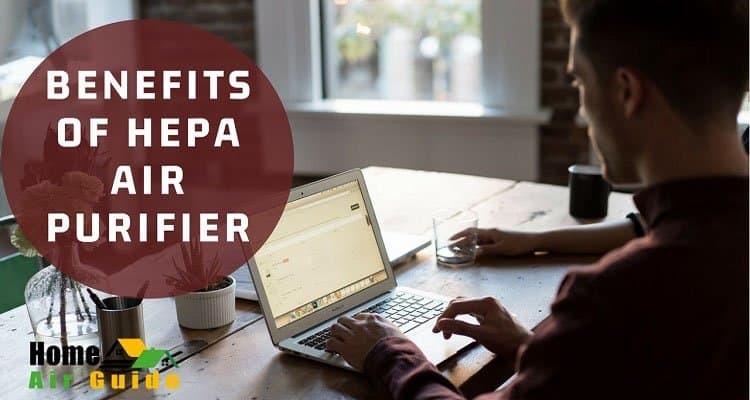 What Are The Benefits Of HEPA Air Purifier? Truly, HEPA is a form of technology which means High-Efficiency Particulate Air. It is a filter and along with air purifier, different devices such as vacuum cleaner are also found to contain a HEPA filter. However, there are many air purifiers on the market, but all of them are not HEPA air purifier. Usually, the HEPA filter comes with a filtration system. The indoor air we breathe in already contains germs and pollutants. As we breathe in and breath out, the pollutants and carbon dioxide keep circulating in the atmosphere. Hence, when the HEPA air purifier is installed, the polluted air passes through the filter. Following different layers of filtration, the purifier captures the harmful components such as pollen, mold, mite, smoke particles, dust, dirt, and so on. By removing the impurities from the air, the HEPA air purifier continuously circulates a fresh and breathable air in the atmosphere all day long. 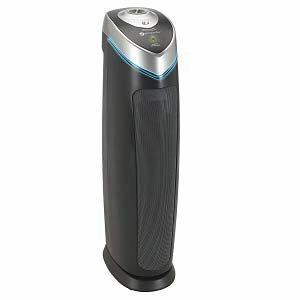 Besides unpleasant odor and volatile organic components, a HEPA air purifier has the capacity to capture and remove any types of airborne particles from the indoor atmosphere. Besides the filtration process, there are some noticeable features that ensure a HEPA air purifier is effective for indoor atmosphere. Here they are mentioned below. The layers of the filter are manufactured with ultra fine-glass fiber that captures the pollutants from the air. HEPA filter can capture tiniest airborne pollutants up to 0.3-micron particles from the air. From the above section, you already know the HEPA is actually a filtration system. This is a certified and an effective technology that filters the air to pull out the impurities from the atmosphere. Now, we are going to discuss the major benefits that you can achieve for health and indoor air by using a HEPA air purifier. Our surrounding atmosphere contains different sizes of pollutants. Many of them are micron pollutants that are invisible in bare eyes and unable to remove with the regular cleaning process. Such pollutants are often stuck in our bed, furniture, carpet, rug, clothes and so on. Hence, they are also difficult to wipe away through dusting or vacuum cleaning. On the other hand, there are many users who live with a pet or a smoking person. For both types of users, the pet or smoke-induced pollutants are detrimental for health. So, to stay away from all impurities and especially pet and smoke-induced airborne particles, the best solution is to stop smoking or limiting a pet in the house. But, that is almost impossible. So, regular cleaning the house, furniture, rug, carpet, clothes are the only option left and it is definitely a hectic job as well. As the pollutants always float in the air, cleaning will not completely remove the dirt and germs. Therefore, to lessen the hassle and ensure a breathable air, the HEPA air purifier has been specially designed. This filter pulls in the air to removes any kind of contaminating elements including pet hair, dander, and smoke particles. After purifying, it re-circulates a fresh and pollutant free air in the atmosphere. More significantly, the HEPA filter can remove 99.97% airborne particles from the air effectively. Among many other cleaning technologies, only a HEPA air purifier can certainly do the job with perfection. So, to put an end to all the hard work and have the easiest and effective solution is installing a HEPA air purifier. Only this device can remove maximum airborne contaminants from the indoor air. 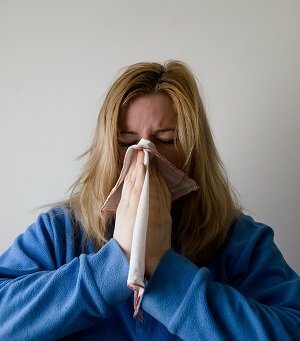 When you are continuously suffering from a runny nose, coughing, sneezing or breathing problem, know the reason is the contaminated indoor air. Indeed, continuous breathing in the polluted air intakes the germs, dust or other types of pollutant through the nasal. Eventually, these germs and bacteria cause allergies, asthma, and breathing problem. In the long run and if affects severely, the airborne pollutants can affect our respiratory and immune system and cause lungs cancer. It is severely detrimental especially for the children, infants and aged person. If not treated well, these pollutants might result in death for such age groups of people. So, the ultimate source of breathing oriented health issues is the polluted indoor air. If the air can be ensured healthy and pollutant free, the health and well being of the house members can be ensured. Since the HEPA air purifier can treat 99.97% impurities from the air and circulate fresh air continuously, we can breathe in fresh oxygen. Also, our respiratory system will be free of germs, dust, dirt and so on. As a result, the severity of allergen and asthma will be reduced and the immune system will be strong. Well, the biggest advantage of having an air purifier is to remove tiny particles of airborne pollutants from the air automatically. This device not only gives us pure air to breathe but also restrict the development of breathing oriented health issues. However, HEPA filter is also incorporated in diverse types of air purifier to ensure more benefits. To know what are they! Keep reading. Some HEPA air purifier comes with pre-filter. This filter can capture larger particles from the indoor air. Even though HEPA filter can remove smoke particles, it is unable to remove odor. Thus, carbon HEPA air purifier can remove smoke-induced impurities and odor from the air. Some HEPA filter is washable which ensures the durability of the filter and reduces filter replacement cost. HEPA air purifier is available for small to medium to large room coverage. The user can buy the appropriate purifier according to the required room size and within budget. In the world of polluted atmosphere, ensuring a pollutant-free air is the prior need. Even though it is impossible to have a completely pure air to breath, the certified HEPA filter has significant benefits and potential to remove germs and impurities from the indoor air. So, to ensure a healthy environment and minimize health risk for your loved ones, you can install a HEPA air purifier at your home or commercial space.